Is that Parshall Flume measuring properly? As the State Engineer’s Office becomes more concerned over accurate water measurement for irrigation ditches throughout Wyoming, flow measuring devices are becoming a requirement. In the course of our water rights work throughout Wyoming, we often see a variety of misconceptions, issues, and problems clients have concerning the measurement of their ditch water. Properly installing and maintaining your Parshall flume or any other measuring device is the water user’s responsibility. Our experience has been that the State is not always going to advise you if your measuring device is not accurately measuring your water. Indeed, we often find where the water user is being shorted water due to an improperly installed or a poorly maintained measuring device. 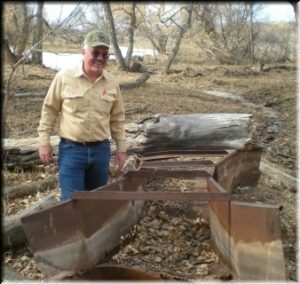 Too often, water users do not know whether their Parshall flume is providing an accurate measurement of their ditch flow. Your livelihood depends on your getting all of the water you are entitled. This brief paper is meant to address the most common problems and concerns with Parshall flumes; and offer guidance to water users with the installation, operation and maintenance of these measuring devices. A properly installed and operating measuring device will help ensure that you are receiving all of the water you are rightfully entitled. 1. While the cost of Parshall flumes usually increases with each larger size, you should not be too conservative in choosing the size suitable for your ditch. Remember, during free river conditions, you may be able to divert a full ditch of water amounting to many times your total appropriation. Choose a Parshall flume that can easily pass that amount. Also, consider the gradient of your ditch. Flat ditches often require larger flumes due to the head loss associated with the device. Generally, a larger device will give you more latitude in site selection. It may also allow the ditch to be cleaned less often. 2. All measuring devices are best installed in a dry, cleaned ditch. All debris and vegetation should be removed from the ditch where the Parshall flume is to be installed, as well as both up-ditch and down-ditch. 3. It is best to re-establish the ditch’s uniform cross-section and gradient before installing the device to ensure the chosen location for the Parshall flume is suitable and that the finished elevation of the installed flume will be adequate to avoid operational problems. 4. The State Engineer’s Office requires that the measuring device be located in relatively close proximity to the head gate. However, the Parshall flume should not be placed too closely to the head gate or other water flow structures. The water entering the device should have a uniform velocity and be relatively calm, not turbulent. Also, the site chosen for the device must permit the water to flow from the flume unimpeded. If the water cannot flow freely from the flume, the device will operate in a state of submergence which will give false high readings on the staff gage. Most staff gages affixed to Parshall flumes are marked in tenths and hundredths of a foot. The staff gage reading then is simply the depth, not the amount, of the water flowing through the device. This depth reading must be then converted to a flow in terms of cubic feet per second (CFS) using a rating table for the size of the flume being used. Parshall flumes are sized by measuring the width of the throat section (narrowest segment). Call us if you need a rating table for your measuring device. We’ll happily send you a copy, free of charge. 5. The flume must be installed in a straight segment of the ditch. Water must flow uniformly into and out of the device in order for the Parshall flume, or any measuring device, to accurately measure the water. 6. The device must be centered on the centerline of the ditch so the water flows straight into, through, and out of the device. If the water is moving faster on one side than the other, or there is an eddy in the water, the device cannot accurately measure your water. 7. The flat floor of the approach section (the upstream half of the device) must be level both parallel with and perpendicular to the direction of flow in order for the Parshall flume to function properly. 8. It is best to use wing walls and an apron wall made of an impervious material on at least the upstream end of the device to provide a seal and anchor for the flume. (Manufactured steel wings/aprons are available from most dealers.) Commercially made units bolt directly to the frame of the device and, if the excavation is sealed with bentonite, do a good job of holding the device in place and preventing water from migrating under and around the device. The wings/apron should extend into the existing banks and floor of the ditch. 9. For optimal performance and longevity, Parshall flumes must be properly bedded when placed in the ditch. When installed, the floor elevation of the flat approach section should be at least 6” to 12” above the existing flow-line of the ditch to prevent submergence problems. How much depends on the size of the flume, the amount of water to be run through the ditch, and gradient (slope) of the ditch. When a Parshall flume is operating in a state of submergence, you are getting less water than what the device indicates. In the worst cases, it can be many times less. An improperly installed device is also prone to seepage underneath and around it; and, with higher ditch flow, can be washed out. Further, unless it is properly installed, the device is likely to frost heave which can render the flume incapable of accurately measuring your water. 10. Due to the increased velocity of the water as it exits the flume, there will likely be some erosion within the first 10 feet of ditch below the device. This ditch section should be rip-rapped or otherwise protected to prevent significant erosion during higher ditch flow. Keep in mind though that the rip-rap must not impede the free flow of water out of the flume. Sediment, sod, and debris may build up over time in the ditch upstream and downstream of the device. Regular removal of such build-up, including any sod growth in the ditch will permit the water to enter and exit the flume straight-on and at a uniform depth and velocity for accurate measurement. Prevent trees and brush from growing in and along the ditch and near the Parshall. Such vegetation will impede proper ditch cleaning and cause a build-up of debris and sediment. Over time, the growth of trees and roots can damage, distort, or up-heave the measuring device. You should not see any silt or sand deposits within your Parshall flume. If this occurs, it is likely that the water is not entering into the device straight-on and/or at a uniform depth and velocity; or that the down-ditch conditions are impeding the free flow of water through the device. This latter condition causes the device to be in a state of submergence whereby the gage readings are artificially high. As such, you are actually getting less water than the device indicates. Submergence or partial submergence is one of the most common problems we find in the field. To resolve these conditions, the ditch upstream and/or downstream needs to be cleaned and re-aligned with the Parshall flume. In the worst cases, the device may have to be re-set or, if damaged or distorted, replaced. A little ditch maintenance each season will go a long way toward ensuring your Parshall measures your water accurately. Now that you have a properly installed Parshall flume and you can accurately measure your water, use the Ditch Diversion Record to record your diversions throughout the irrigation season. Such a record of the water used can be invaluable evidence for protecting your water right; as well as providing important data for consideration when making future irrigation management decisions. Make a habit of recording your ditch flow regularly, and indicate each time you turn the ditch on and off. You’ll then establish an accurate record of not only the amounts of water used but also the periods of use. We wish you full ditches and tall grass this irrigation season. But if you need assistance, feel welcome to call us at 307-347-8329. We have flow measurement equipment to check the accuracy of your Parshall flumes and other ditch flow measuring devices so you can be certain that you are getting the water you are entitled. 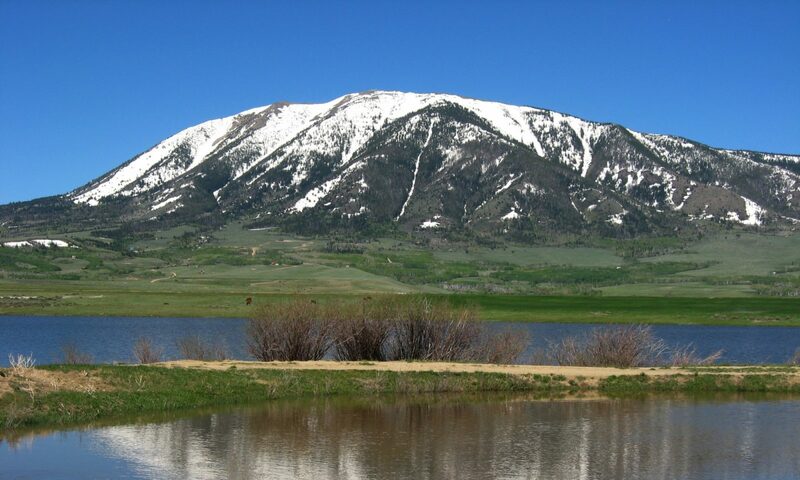 These guidelines are provided by Wyoming Water Rights Consulting, Inc. We are available to assist you with your water measurement, water rights, and land surveying needs throughout Wyoming. We offer statewide service. Feel free to call us to discuss your needs.